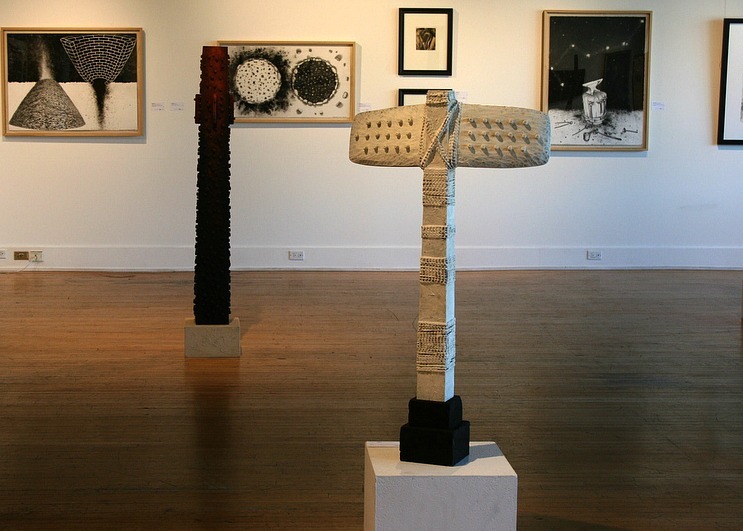 In a moving exhibit running through August 6, the Holland Area Arts Council (HAAC) brings together four artists in an extraordinary group exhibition that celebrates their differences, while merging their styles to embrace an earthly theme. 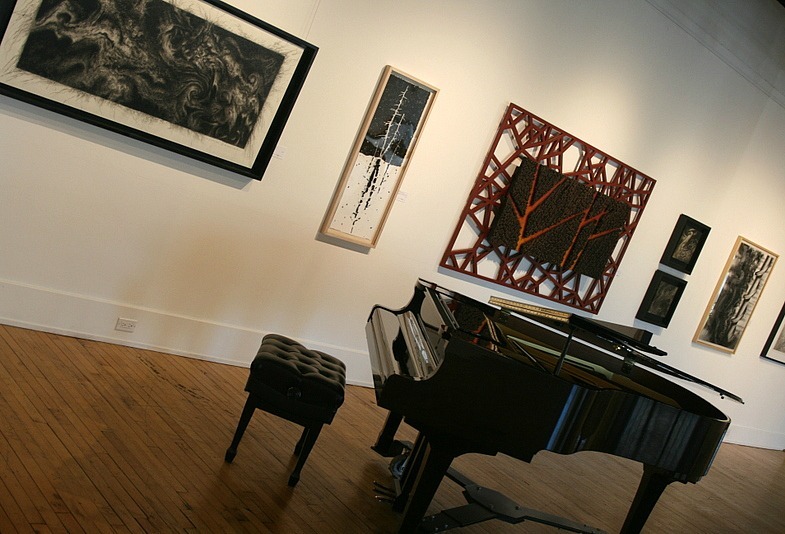 Muskegon-based artists Lee Brown, Art Martin, Tim Norris, and Hannah Sawyer reference elements of the earth like wood, metal, charcoal, and carbon, into works that evoke a variety of moods. From ominous and mysterious, to magnetic inspiration, I found the display in the Padnos Gallery fascinating, albeit a little gloomy. The delicate sprinkling of oils and pastels, as well as pen and ink, offer viewers a break to the accomplished blending of ebony tones. After a few times around the gallery, and reading the artists’ statements, the significance of the darkness and light was evident. The raw components really support the concept of culture and connectedness, and the evolution of both themes is communicated with a richness of depth and imagination. Being a big fan of archeology and the earth sciences, I found it very interesting to ponder the historical interpretations in the artwork. For example, the stark black and white within Norris’ Fayette Furnace #3, brought me right back to the Ancestral Pueblo ruins I explored years ago. The hard and soft details of the layered bricks, along with the rising and falling filaments, suggested a sense of balance in life, which is a continuum of joy and sadness. An affinity for all things earthly is not required however, to appreciate this dramatic showing of fine art. The varied pieces provide a wide spectrum for creative interpretations with their unique expressions. While most of the work is abstract, one can feel a touch of surrealism as well amongst the drawings, sculpture, and assemblages. 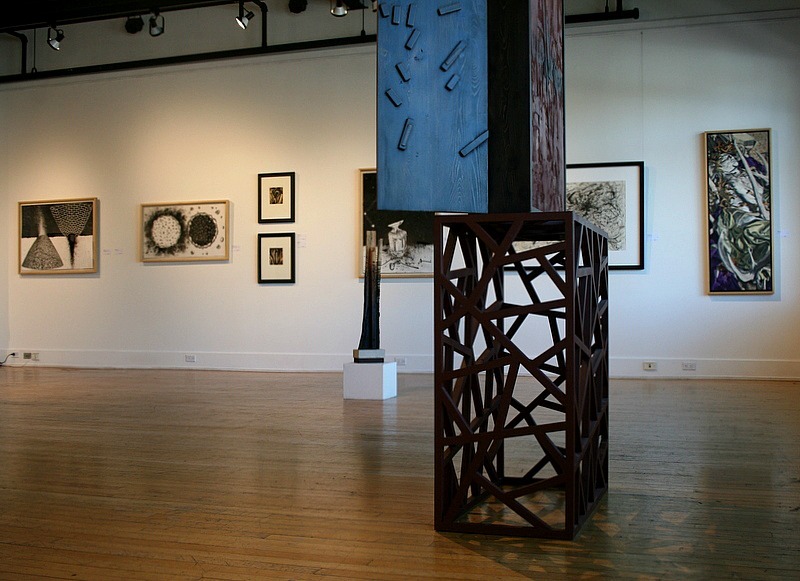 Open through August 6, “Elemental Transformations” is located in the Padnos Gallery at the HAAC in Holland, Michigan.